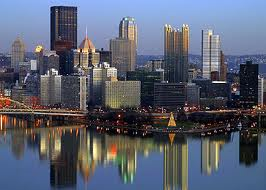 Pittsburgh is a thriving metropolitan city in western Pennsylvania. It is the home to major corporations, world renown medical facilities, award winning universities such as Carnegie Mellon University, Duquesne University, & University of Pittsburgh, and major sports teams such as, Pittsburgh Steelers, Penguins,& Pirates. In recent times, its become known for its different and award winning restaurants, and has tons of entertainment opportunities.